Danish Gambit - Chess Gambits- Harking back to the 19th century! The Danish Gambit is a notoriously wild gambit beginning with 1.e4 e5 2.d4 exd4 3.c3!?. The idea is the same as in the Göring Gambit- White threatens to establish a strong pawn centre with pawns on d4 and e4, controlling the key squares c5, d5, e5 and f5. White also offers a sacrifice of the d-pawn by challenging the d4-pawn with c2-c3. My feeling is that the Danish Gambit move-order, with 2.d4 exd4 3.c3, is less promising than heading for a Göring Gambit with 3.Nf3 intending 3...Nc6 4.c3, for there are numerous good independent and/or improved possibilities for Black (3...Ne7 and 3...Qe7 for instance) and not many for White. 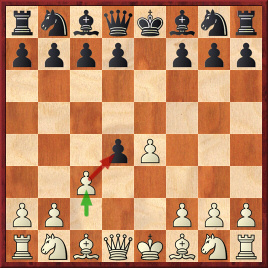 However, there is a case for 3.c3 if the intention is to meet 3...dxc3 with 4.Nxc3, because with the Danish Gambit move-order White avoids the Petroff Defence (1.e4 e5 2.Nf3 Nf6) as well as sidelines such as 1.e4 e5 2.d4 exd4 3.Nf3 Bb4+. If Black declines the gambit, White will often end up with an isolated pawn on d4 but will aim to compensate by activating the pieces into the early middlegame. If Black accepts the gambit, White will generally aim to put pressure on f7 with Bc4, Qb3 and/or Ng5, and Nc3-d5 is also a common motif. If Black plays ...Nf6 too early then the knight is a target for an e4-e5 push from White. In lines with ...Nc6, White has to be careful of the ...Na5 fork, which can force the exchange of White's c4-bishop for the black knight on c6. However, if Black refrains from playing an early ...Nc6, then there is greater scope for Black to get in ...d7-d5. Karsten Müller & Martin Voigt, Danish Dynamite, Russel Enterprises 2003. (Note that this book, while giving an impressively thorough coverage of most lines, does not cover lines with 3.c3 dxc3 4.Bc4 in which Black doesn't take the second pawn on b2). Nigel Davies, Gambiteer I, Everyman, 2007. Focuses on meeting 3...dxc3 with 4.Nxc3. Boris Alterman, The Alterman Gambit Guide: White Gambits, Quality Chess has a chapter on the Danish Gambit.